Japan’s rainy season is imminent. 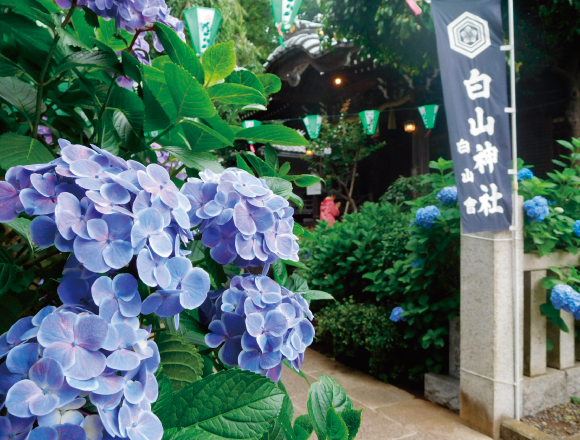 When the rainfall starts in the morning you might think to yourself, “Ugh, I really don’t want to leave the house today.” But what you have to remember is the gorgeous “ajisai” – the Japanese hydrangea – that bloom all around Japan during this time. Blues, purples, pinks and whites. 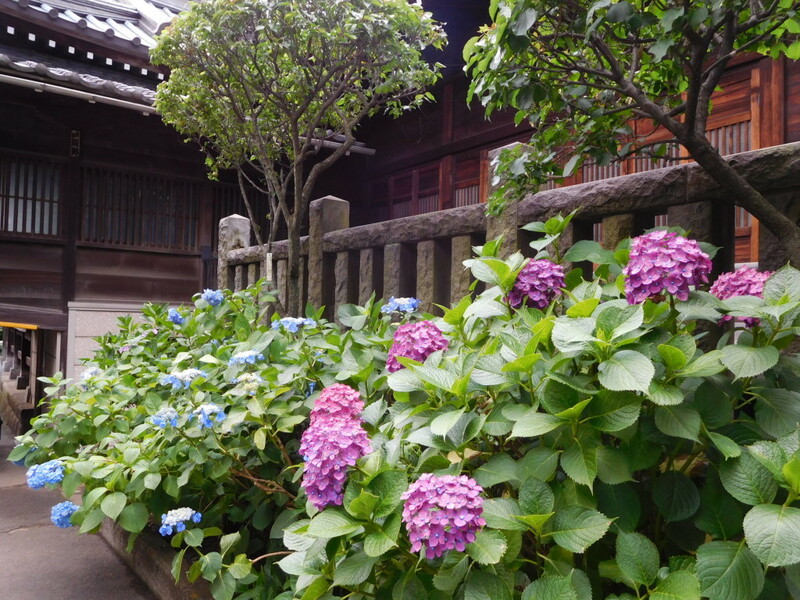 The ajisai dotted around the neighbourhoods are multicoloured, meaning you are bound to find a variety of different gorgeous flowers as you stroll around. The ajisai is actually native to Japan. There are currently signs of selective breeding of the plants that are being reimported in Europe and America, but the ajisai is actually a plant that has been loved since ancient times in Japan during this season. 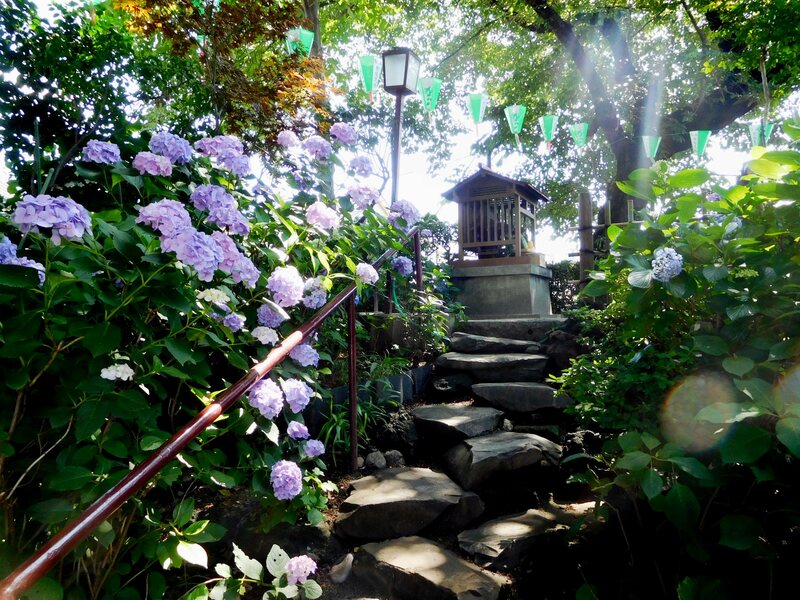 There are lots of ajisai spots in the city, but we recommend the Hakusan Shrine and Hakusan Park as the places to see this beautiful bloom where they are holding the Ajisai Festival (Ajisai Matsuri). They are a 3-5 minute walk from Hon-Komagome Station and Hakusan Station. 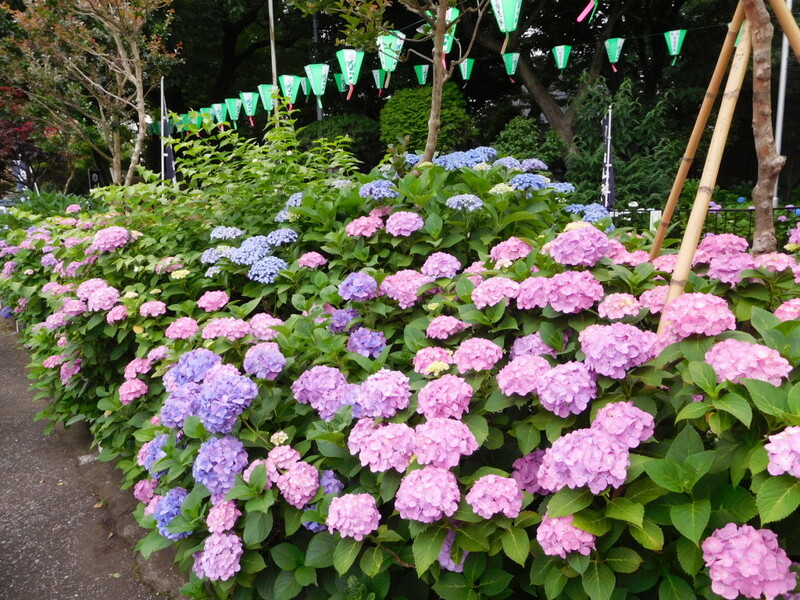 It’s one of 5 big festivals in Bunkyō-ku where an estimated 3,000 flowers are in full bloom in all colours from the shrine grounds to the park. Lots of events are scheduled to take place on Saturday and Sunday, where you can see fujizuka, cultural properties that represent Mount Fuji that are not usually on show to the public. There will also be plenty of refreshment booths. 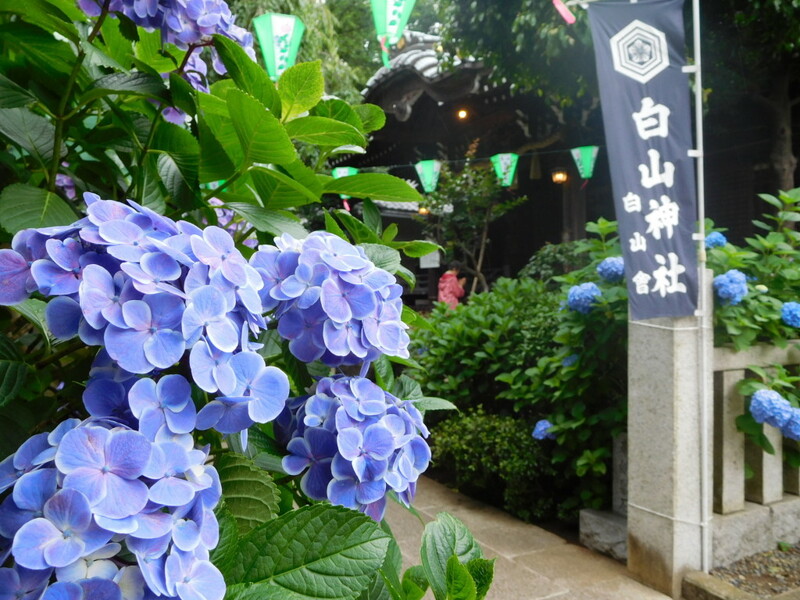 Whether the weather is pleasant or rainy, make sure you make your way over to Ajisai Matsuri to warm up your soul. 3-minutes walk from Hakusan Station via the Toei Mita Line. 5-minutes walk from Hon-komagome Station via the Tokyo Metro Namboku Line. Related article: Let’s go outside and have fun even during the rainy season. The event,“GINZA Hyakusankai”(Enjoy Rainy Day Style) where over 3,000 umbrellas will be exhibited. Related article: Experience the Edo period at ECO EDO Nihonbashi 2017 ～Enjoy the Real Edo with your Five Senses〜 open from 7th July!